As assistant director of nursing at North Middlesex University Hospital NHS Trust Nichole McIntosh is a leader who wants to be visible and, more importantly, accessible to her staff. A is for articulate, nurses need to learn how to express themselves. B is for bold, speak up so people hear what you have to say. C is for courageous, nurses should challenge people who are senior to them if it’s appropriate – not by letting emotions run wild, but by being calm and clear in what you are saying in meetings and on the ward. Ms McIntosh was born in Jamaica and when she was growing up felt that nursing was not always seen as a distinct career choice, but something people ‘fell into’. ‘As a child I was always caring, but my father was a head teacher and I was unsure whether he thought nursing was the career for me. I came to the UK in 1996 when I was 21 and heard there was a shortage of nurses. I decided to work towards a diploma of higher education (nursing), which took me three years and when I qualified I started out on a medical ward at the Royal London Hospital. Ms McIntosh became known as the ‘smiley nurse’ on the ward and began to get a sense she could do something different in the care of older people. In 2009 she became a ward manager at the King George Hospital in Essex: ‘I was on another medical ward with many older patients who had endocrine disorders and diabetes. ‘A job opportunity came up for assistant director of patient experience covering King George Hospital and Queen’s Hospital. It was a big jump in terms of my career, but I was ready for the challenge and helped set up a dementia steering group for staff to assess the best way of caring for people in their most vulnerable state. Ms McIntosh was on secondment in the role for 18 months then moved to an outpatient setting as a senior sister where she was exposed to a variety of specialisms: ‘I applied for a job at Barts Health NHS Trust as a matron in specialist medicine, but by the time I was recruited the job didn’t exist anymore due to organisational changes. They said there was a matron’s role in older people’s services and asked if I would do it. Sometimes these things choose you. ‘I said to the head of nursing that I was willing to do it as long as I was supported. I made it clear that I liked to work differently, challenging nurses’ practice in a constructive, supportive and calm way to get them thinking rather than criticising. ‘I wanted to use the language of “we” rather than “you” and I got all the ward managers working on care of older people wards together fortnightly, so they didn’t feel they were on their own. Ms McIntosh explains that when she qualified as a nurse she had a good mentor who was calm: ‘He taught me that you don’t need might and bluster to be a good nurse and leader, you just need to be confident in your own ability. He said it is important to recognise your own limitations, let go of ego and arrogance and put the patient first. ‘I’m not naturally someone to "say look at me", but I do have moral courage and will advocate for others. In one situation when I was matron, there were staff shortages and I needed more staff for the next shift. ‘I had to email the director of nursing, but he wasn’t getting back to me and I felt my patients would be at risk, so I kept plugging away until he sorted it out in between meetings. Ms McIntosh became head of nursing in specialist medicine at North Middlesex University Hospital NHS Trust in October 2016 and was made assistant director of nursing less than a year later in July 2017. 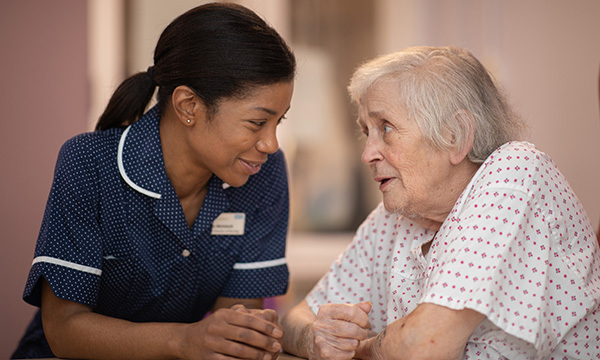 She believes that if nursing students and newly qualified nurses can see the benefits of caring for older people, the profession can develop leaders who are ‘genuinely passionate’ and will stay when things become challenging. ‘Don’t think as a newly qualified nurse: “Oh I’ll get someone else to do that task with an older patient.” Do it yourself and build up your experience. 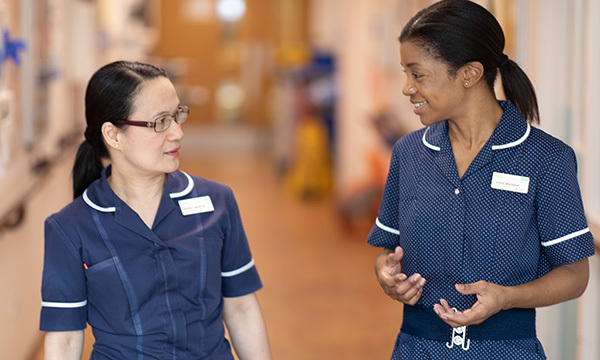 ‘It is important for nursing leaders to be able to speak in a voice that other staff can relate to and know they are offering genuine, credible advice from a lived experience. ‘Yes, there is increased vulnerability among patients and staffing challenges, but we need nurse leaders who are able to give staff hope. Ms McIntosh encourages audits to highlight areas that can be improved. She found out that although her current organisation had the tools in place to help care for older people and those with dementia, they needed promotion. Staff now widely use a document called 10 Important Things About Me and a food passport which helps them to understand patient preferences including what they would like to be called, their hobbies and interests, greatest achievements and what makes them happy, worried and angry. Ms McIntosh writes a lifestyle blog called The Human Touch and encourages the use of social media among nurses: ‘I get staff to tweet about what they are doing to encourage best practice. They might be embarrassed initially to use Twitter, but once they start, they see how powerful it can be. Ms McIntosh is keen to share her nursing knowledge in Jamaica. In 2017 she met the Jamaican health minister at London South Bank University when he visited to explore how to address the shortage of nurses in Jamaica. 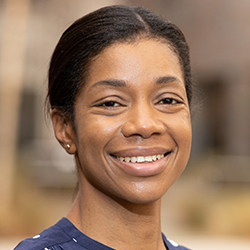 Ms McIntosh is also a PhD student researching older people from black Caribbean backgrounds on a stroke ward: ‘People want dignified care whatever their background, they don’t want to be stereotyped, but want their cultural preferences acknowledged.